Samuel Langhorne Clemens (November 30, 1835 – April 21, 1910), better known by his pen name Mark Twain, was an American writer, humorist, entrepreneur, publisher, and lecturer. 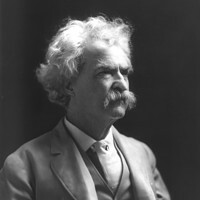 Among his novels are The Adventures of Tom Sawyer (1876) and its sequel, the Adventures of Huckleberry Finn (1885), the latter often called "The Great American Novel". Twain was raised in Hannibal, Missouri, which later provided the setting for Tom Sawyer and Huckleberry Finn. Quote from Mark Twain. 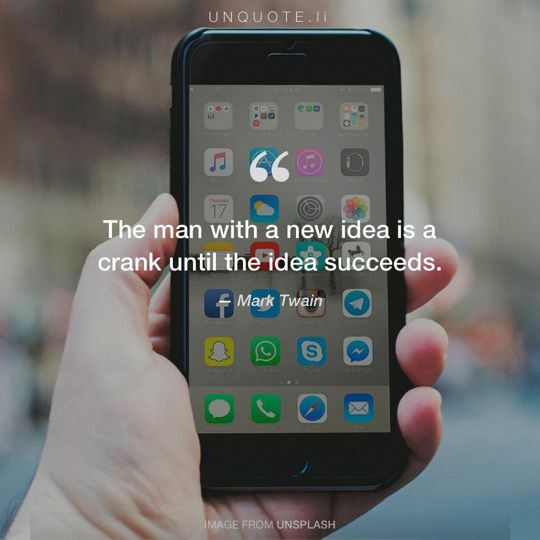 The man with a new idea is a crank until the idea succeeds. Quote from Mark Twain. 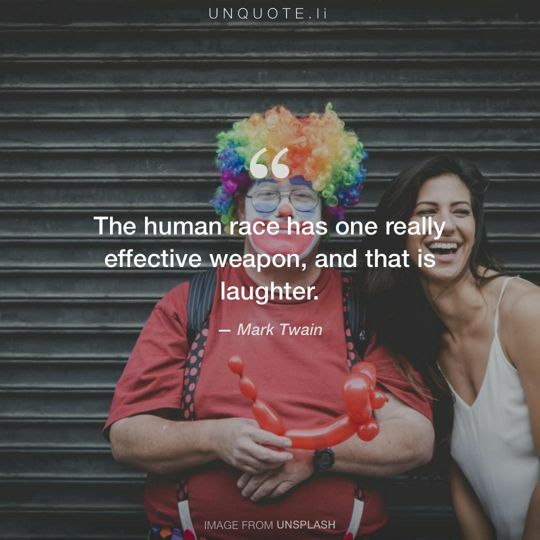 The human race has one really effective weapon, and that is laughter. Quote from Mark Twain. 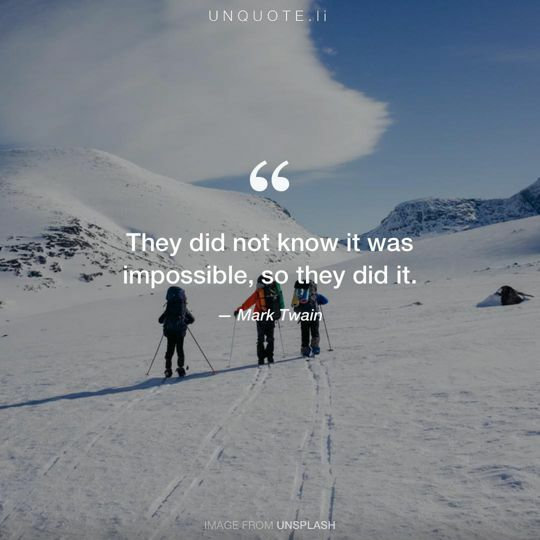 They did not know it was impossible, so they did it.